Whey, what the heck is whey? I had no idea either, until I got my own cheese making kit earlier this year. When you make cheese out of milk, you end up with solids and liquid.The cheese are the solid bits, and the whey, well that’s all the liquid that’s leftover. There’s a lot of it and it feels a waste to throw it away. It still has lots of nutritious bits and pieces in it and since I have been brought up trying to not throw anything away that can be used, I looked for uses of whey. Apparently it’s great as a fertiliser for trees. My citrus trees therefore have enjoyed a bit of whey juice recently. We’ll see if they produce better next year! I also found out that whey is perfect as a base for making smoothies. 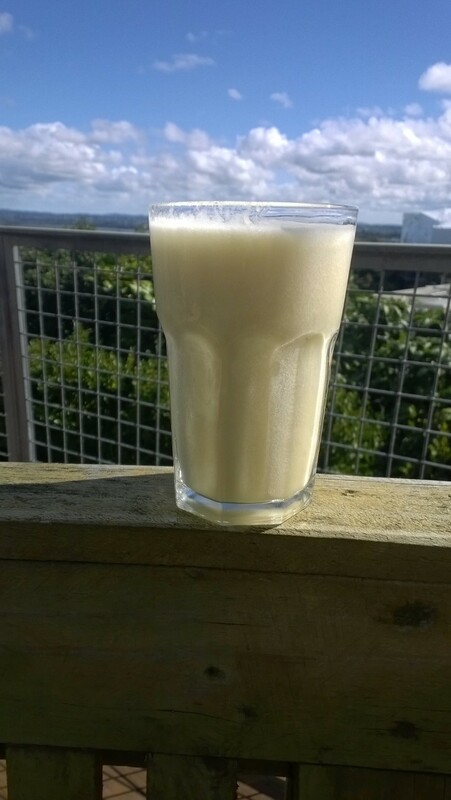 After my last cheese making attempt I poured the whey into my mixer, added some pineapple, banana, coconut water and half a lemon and mixed it for a minute. It got lovely and fluffy, and tasted fantastic. Definitely a keeper! What do you use whey for? 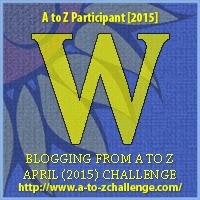 This entry was posted in A to Z challenge, localfood and tagged a to z, cooking. Bookmark the permalink. Whey powder is used by a lot of cyclists to be put into a drink straight after they finish their ride, great recovery powers apparently. wow i didnt know that. how interesting. Tastes horrible in a drink though.